Over the weekend, Apple quietly released its latest EEO-1 Federal Employer Information Report tallying employment diversity information through Aug. 1, 2015, revealing raw numbers that, while a slight improvement year over year, are incongruent with statements the company made last year. While the data (PDF link) points to progress in Apple's hiring practices, year-over-year change in ethnicity, gender and race distribution paints a different picture than the rosy landscape outlined by CEO Tim Cook last year. In a statement posted to the company's diversity webpage last August, Cook said Apple hired more than 11,000 women globally between 2014 and 2015, a 65 percent increase. In the US, black hires grew 2,200, or 50 percent, while Hispanic hires were up 66 percent to 2,700. Apple's 2015 EEO-1, however, shows a net increase of only 1,475 black employees and 1,633 Hispanics from the previous year. The disparity between Apple's results and those posted in this year's EEO-1 have not been explained, though Apple could be including backfill replacements or other metrics not taken into account by federal guidelines. On that point, Apple says it does not use EEO-1 numbers to define progress, claiming the federal survey has "not kept pace with changes in industry or the American workforce over the past half century." A "more accurate reflection" of Apple's progress is represented by curated data points offered through its website, the company says, though the page in question was last updated in August and does not yet contain information from the 2015 EEO-1 report. On a year-over-year basis, Apple hired 6,378 white employees for the period ending in August, accounting for 59 percent of the company's entire US workforce, the EEO-1 data says. Net Asian hires came out to 2,824, adding to a total of 12,583 people, or 17 percent of US operations. Changes in executive and upper level management tiers were less dramatic, with Hispanic employees accounting for 7 percent of the total, up 1 percent from 2014. Apple hired more black, Asian and multiracial workers to fill leadership roles, but the overall breakdown went unchanged due to similar growth in white hires. 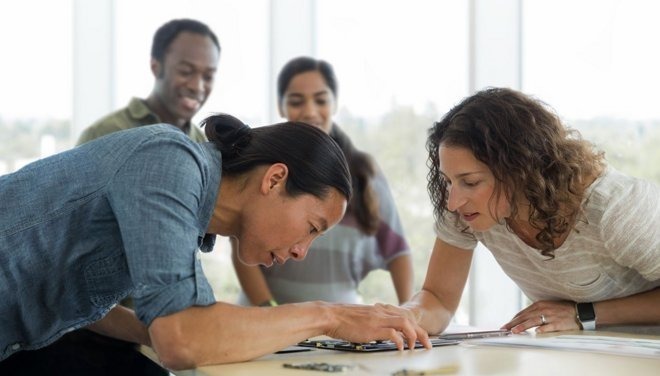 Like many tech companies, Apple is being pushed to create a more racially diverse workplace. For example, a proposal submitted for vote at Apple's upcoming shareholders meeting seeks to add "people of color" to upper management positions. Apple chose to include the proposal in its proxy statement, but advised a vote against, saying such regulation is burdensome and unnecessary given its current hiring initiatives.